Burgers have to be one of America’s most ubiquitous foods. 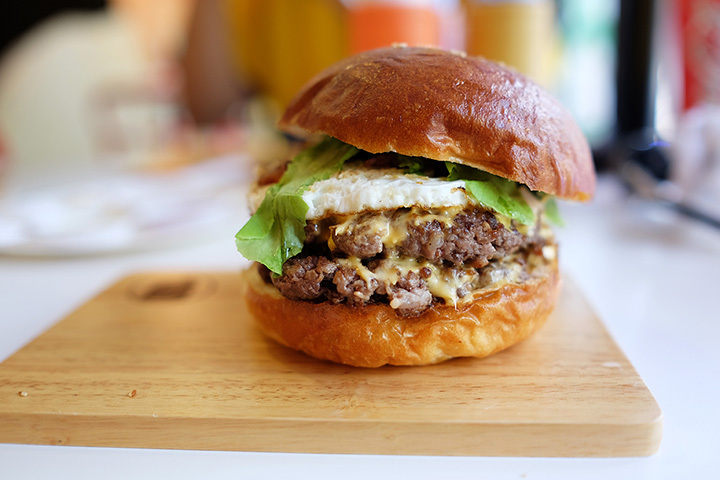 Whether you’re searching for a grass-fed beef burger cooked to perfection, a burger topped with Korean barbeque sauce, or a mouthwatering fried onion burger, you’ll find it in Oklahoma. Here are the 10 best places to grab an excellent version of everyone’s favorite American classic! Waylan’s is a Route 66 landmark that has been around since the 1960s. It looks a little odd, but the burgers are cooked fresh to order and the fries are served hot. For nostalgia at its best, you want to try Waylan’s. The Rock Café might be known for helping develop one of the characters in Disney’s Pixar’s “Cars,” but it’s been serving up burgers on the Mother Road for over 75 years. The owners give Betsy, the Wolfe grill, a lot of credit for serving over five million burgers. This place is a must-stop when you’re close. The food rocks. The servers are great. The history is awesome. There may be a wait when you stop at Nic’s for lunch, but boy are these burgers worth every minute. Nic knows how to do burgers and fries, arguably better than anyone in the state. Each year, El Reno holds their annual Fried Onion Burger Day Festival, and it’s really a challenge to choose which restaurant serves up the best. Sid’s Diner may just be worthy of your vote. The atmosphere is homey and comfortable, the staff has always been great and the burgers are top notch. Another Route 66 landmark, at Hank’s you can sit just about anywhere and watch your burger being made and cooked on the grill. Meers has been voted the best burger in Oklahoma multiple times. The meat is 97 percent lean grass-fed Longhorn beef served with mustard, purple onions, green-leaf lettuce, cheese, dill pickles and tomatoes. Don’t ask for an open-faced burger, because they won’t fix it that way. If you want gourmet, S&B’s is the place to go. Get a burger honoring the King with peanut butter, bacon, lettuce, tomato and red onion or go for the Hot Lips, a burger with Korean barbeque sauce, lettuce, grilled onions and kimchi. They have vegetarian options and you can build your own burger at this local favorite. They also have multiple locations in the Oklahoma City area. Fresh ingredients, a relaxed environment and friendly staff make this local place a favorite for burgers and drinks. If you love onion burgers, you’ll want to try The Melt, with two different cheeses, onions cooked into the burger, served with Creole mustard. Irma’s has been serving up burgers near St. Francis hospital for generations. It’s a great place to get served up local beef before a game, after work or for lunch. The Garage features five different patty types, Angus beef, turkey, bison, garden or grilled chicken to make your burger just how you like. Get a craft beer with your burger for a relaxing evening meal. The Garage has multiple locations throughout the state.